Absolutely incredible MJ issue which ranks among his most elusive modern productions. 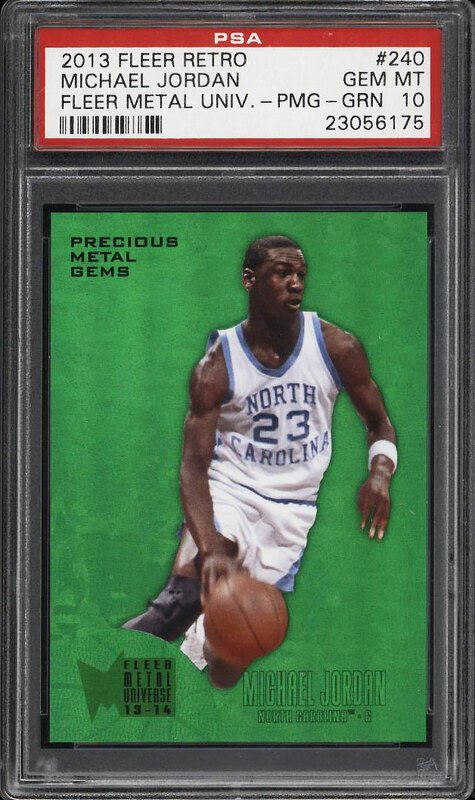 This PMG Green retro example is limited to just 10 copies ever made with the offered specimen representing the sole example to receive the elite PSA 10 designation. 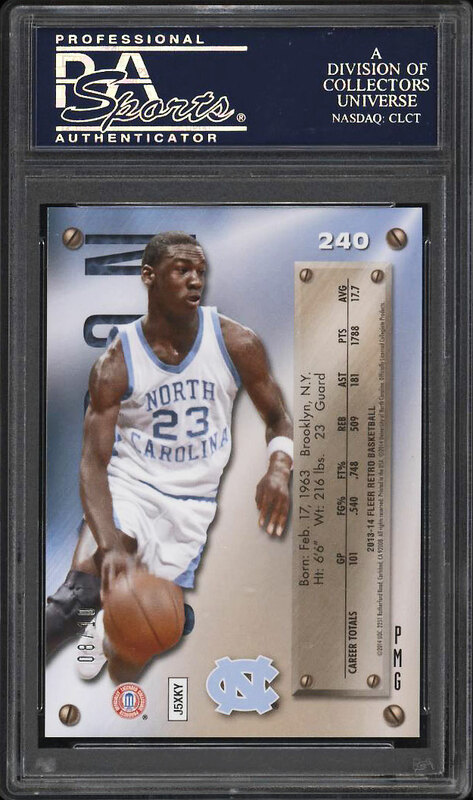 This card is simply stunning with pack fresh eye appeal and uncirculated card qualities throughout. Perfectly centered with blemish free borders and chipless edges around. The corners are exceptionally sharp to boot. Shows rich surfaces that boasts clear imagery and eloquent color. A no-doubt flawless card from every angle. MJ is widely regarded as the greatest player in the history of the sport and has one of the largest followings of any athlete. Don't miss out on this rare museum quality piece of the Bulls elite HOFer. Comes highly recommended by PWCC. One of over 16,000 cards, lots and sets up for bid in our 1st Auction of 2019. Click on the link above to view the other PWCC auction lots.